Najib Razak is accused of using a part of US$10.3 million for a shopping spree at Chanel in Honolulu. Former Malaysian prime minister Najib Razak sat in the dock today at the start of his corruption trial, with the chief prosecutor alleging he wielded “near absolute power” for nearly a decade during which he stands accused of pilfering millions of dollars from the 1MDB state investment fund. Ten years ago today, Najib became Malaysia’s sixth prime minister but anger over the 1MDB scandal led to his spectacular electoral loss last May. U.S. investigators say more than US$4.5 billion was stolen from 1MDB by associates of Najib between 2009 and 2014. They say the ill-gotten gains were laundered through layers of bank accounts in the U.S. and other countries to finance Hollywood films and buy hotels, a luxury yacht, art works, jewelry and other extravagances. Some US$700 million from the fund that Najib set up for Malaysia’s economic development allegedly landed in his own bank account. According to Thomas, Najib was the real power behind 1MDB and its fully owned subsidiary SRC “in directing and managing their affairs” instead of the board of directors. Thomas told the court that evidence will show that part of the 42 million ringgit (US$10.3 million) funneled from SRC was used by Najib for a shopping spree at Chanel in Honolulu, renovation works at two of his private homes and also disbursed to political parties in the then ruling coalition. The trial is the first of several against Najib, who has been charged with 42 counts in one of Malaysia’s biggest criminal proceedings. His wife, Rosmah Mansor, also has been charged with money laundering and tax evasion linked to 1MDB. She has also pleaded not guilty and her trial has not been set. The first witness, an official with the Companies Commission of Malaysia, took the stand Wednesday. 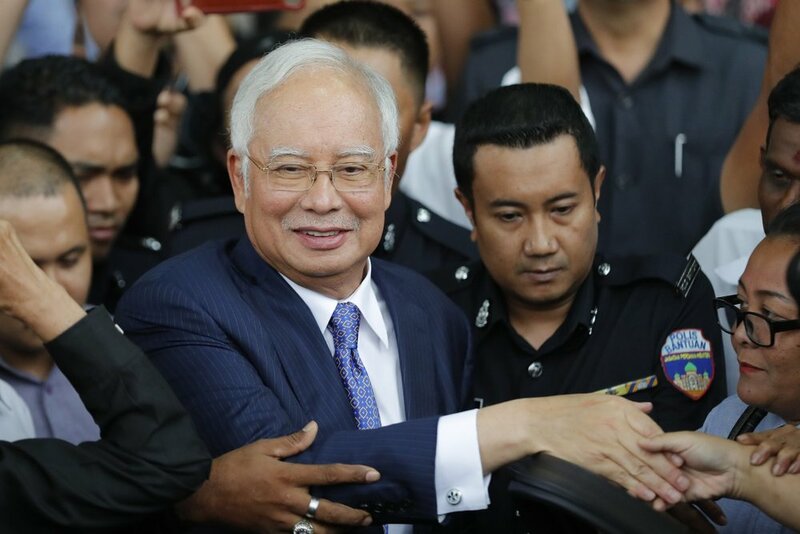 He testified about the directorship and records of SRC and two other companies used as intermediaries to channel the fund to Najib’s bank account.